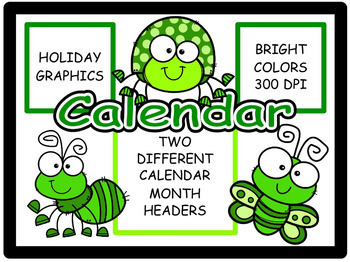 This product is a set of seasonally decorated calendar months for your calendar. As a teacher, when I searched the teacher supply stores, I came away dissatisfied with the art on the calendar monthly headers. I made sets that I could use in my classroom, using cute graphics from Creative Clips. Run them on white card stock and then laminate them for long time use. 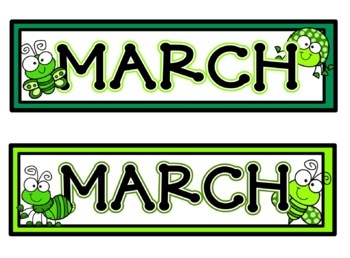 If you want calendar numbers to match these headers, see my monthly calendar numbers.